‘ello everyone! I’m writing about British food today, so forgive the terrible accent I’m trying to convey through my lovely prose. Anyway, national stereotypes aside (Warning: I will use a lot of random British slang, so keep calm and carry on), welcome to another edition of Mastication Monologues! 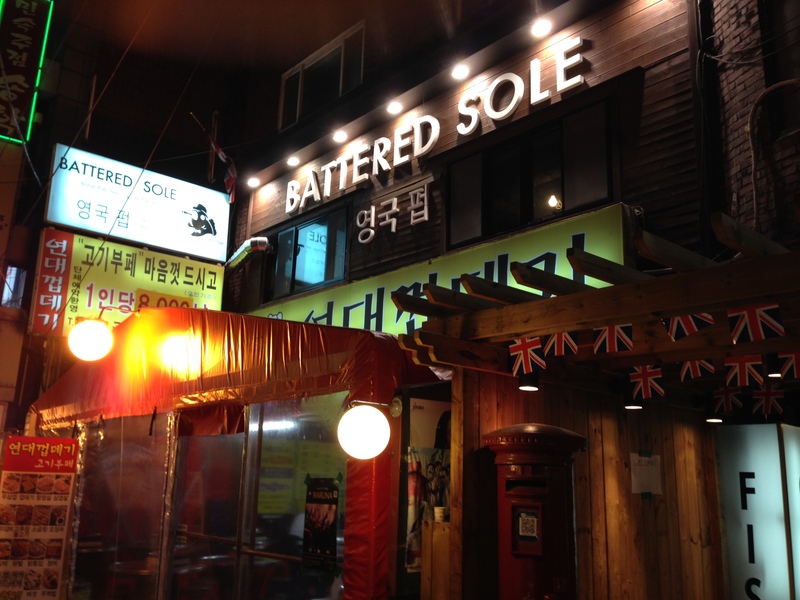 As I just mentioned, today I will be talking about Battered Sole, an import all the way from Old Blighty that somehow landed in Seoul. 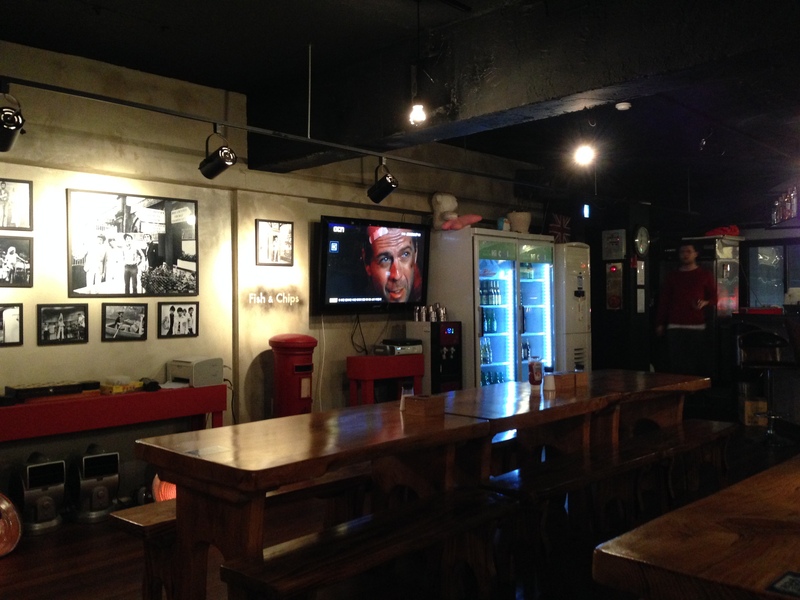 It’s located at Changcheon-dong, Seodaemun-gu, Seoul, South Korea. It’s pretty easy to get there. 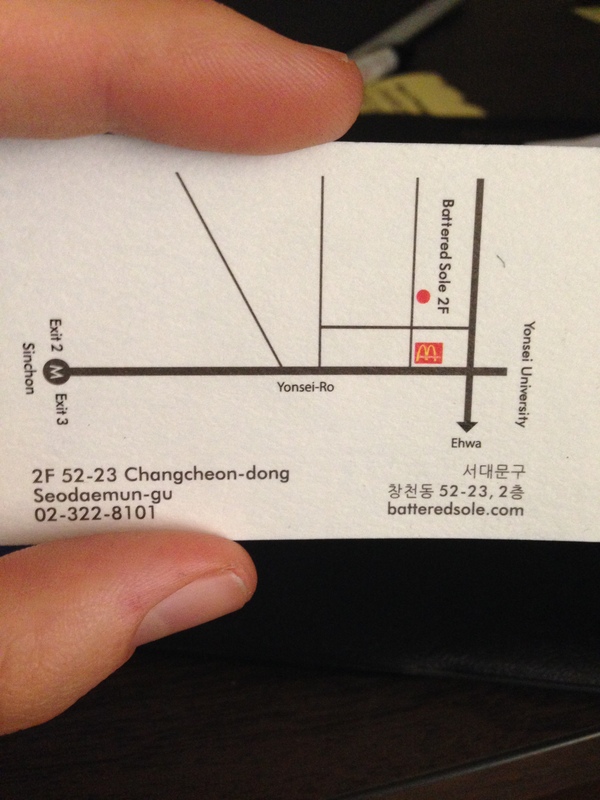 Go to Sinchon station on the metro and come out exit 2. Walk straight up the main street you see to your left until you see a McDonalds on your left hand side. Make a left down that street and then walk straight until you see the restaurant on your left on the second floor. You also can’t miss it with the Union Jacks fluttering over their walkway. Here’s their website. 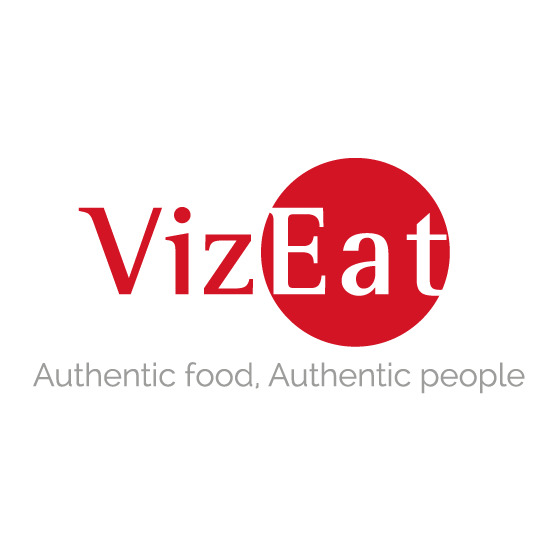 So I’ve been wanting to try this place for the longest time after hearing rave reviews from my British (both Scottish and English) friends over here. If there’s one thing the Scots know, it’s the quality of deep fried goods. 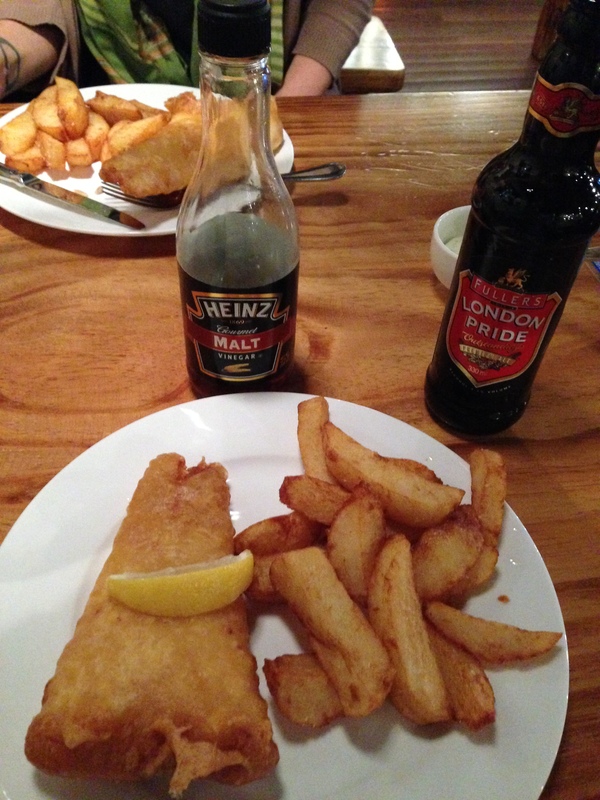 Plus, I have spent my fair share of time on the tea-drinking side of the Atlantic to sample some really good fish and chips or trying it stateside in New York City. I was greeted outside by one of the employees who introduced himself and asked me for memorable quotes for his welcome board. Where the witty banter went down. I liked this place already just for the very English welcome of being very polite yet awkward yet fixated on witty wordplay. Wonderful. I walked in around 7 pm, and I had the place to ourselves more or less. 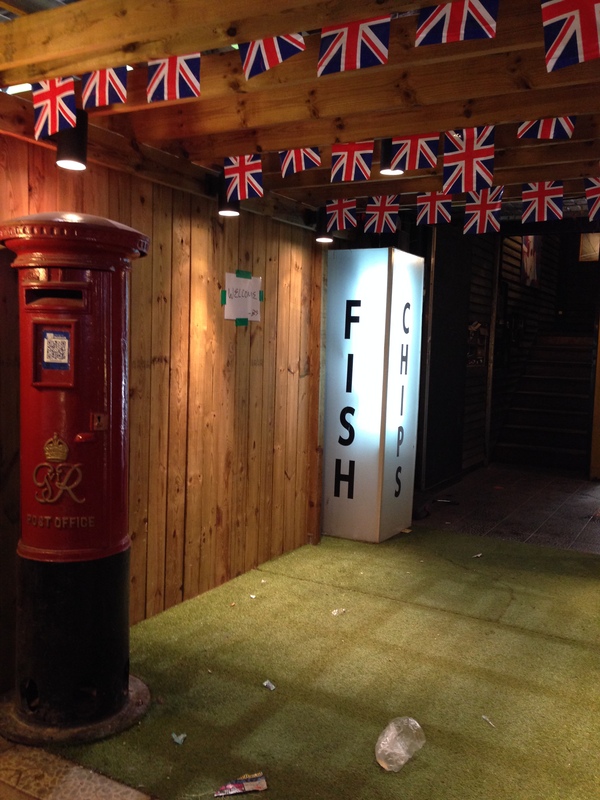 The decor was very kitchy in some senses with the Rolling Stones and Union Jacks everywhere, but it wasn’t overkill. 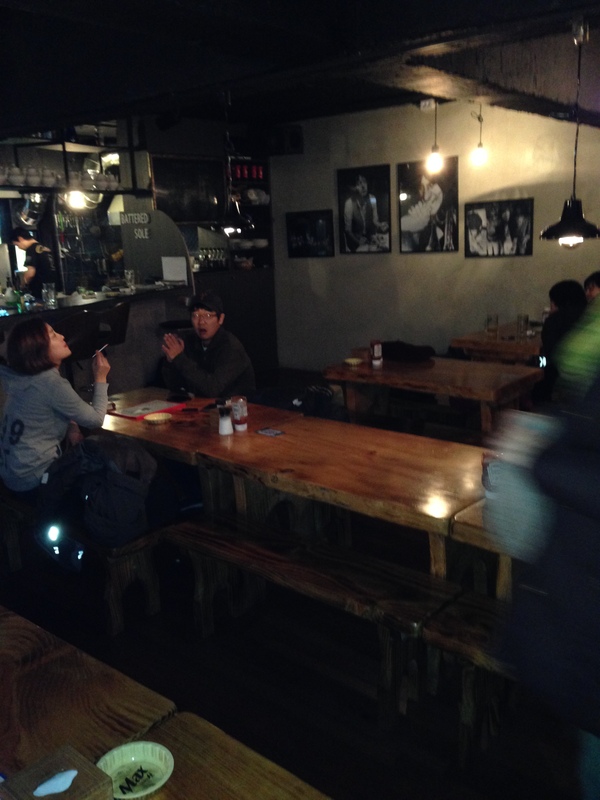 Looking at the prices, it was average prices for foreign fare in Korea. I got the battered cod and chips (or French fries for Amurkans) for 11,000 W. I also threw caution to the wind and got a London Pride for 11,000 W which naturally jacked up for being an import. They also have chicken wings, sausage and chips, and various sides if fish isn’t your bag. 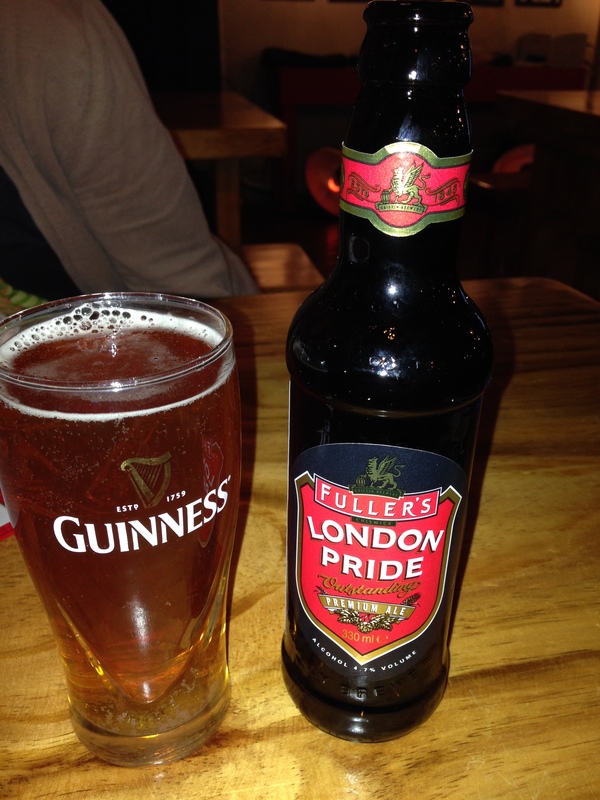 The beer came out first, and as I expected it was a slightly hearty brown ale like many English beers. It had slight caramel notes along with some bitter tastes throughout with a crisp aftertaste. On a scale from pure rubbish to a ledge, it would probably be jolly good. Finally the star of the show made its appearance in front of me. It was a substantial piece of fish that looked exquisite along with some freshly made chips nestled right next to it. The fish portion of the duet was in harmony with my palate. From its flaky white flesh to the thick and buttery breading, I was brought back to the East End in London the first time I had fish and chips in the homeland. I also appreciated the lemon wedge, tartar sauce, and malt vinegar. The tartar sauce was quite creamy but not as tangy as I’d like. As for the chips, they were not super crispy but more savory and filled with the fry oil that I really enjoyed. It wasn’t the most filling meal in the world since I have a big appetite, but it was extremely satisfying and worth it. 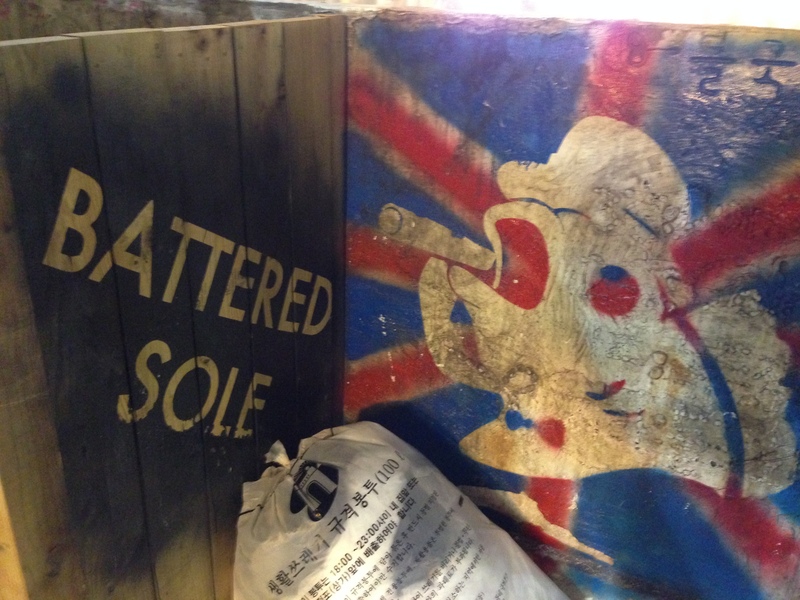 So if you’re looking to catch a great meal, Battered Sole is the place for you.